How, when and why to give a kid a time out in a band class. 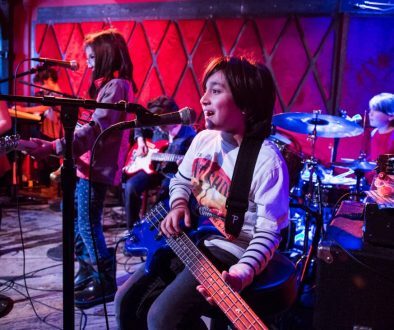 Classes at the Brooklyn Music Factory are designed to be fun, but that doesn’t mean a teacher shouldn’t be firm when a student is out of line. Cooperation from students is essential in creating an effective teaching environment, so setting the boundaries is good not only for that one student, but for the class as a whole. That said, when is the appropriate time to give a kid a time out? And what is the most effective way to go about it? 1. First thing is to make sure that your rules are clear in your own mind. If you don’t know what you are asking from the kids- you certainly won’t be able to pass that message on to them. 2. Make sure those rules are clear to the students. This may mean repeating them once every class in opening drum circle. Often classes need the daily reminder. 3. Give a warning. If a child breaks one of the rules, give them a clear warning that if they break the rule again they will have to sit out. Make sure they understand by having them repeat the warning back to you. And if you can get eye contact it’s even better. 4. If they break the rule after the warning, sit them out immediately and let them know why. The key on this one is making sure you follow through on this step. Too often we give warnings with no consequence. Kids will know if the warnings mean nothing and their behavior will reflect that. Once in time out, keep them there for as many minutes as they are old – for ex: a 5 year old will stay in time out for 5 minutes. 5. Once the time out is over, have a brief conversation with the student before coming back to class. Have the student acknowledge what they have learned and that they will have to return to time out if it happens again. 6. Finally, make up, shake hands, and move on. Don’t dwell on the past behavior. They got their punishment and it’s time to move forward. As soon as you can, compliment them on any good behavior and make sure to make a big deal of that improvement. Positive reinforcement is just as important in the process as consequence. The better a child feels about themselves, the more inspired they will be to do better. 7. One final note: If a child is exceptionally challenging, you’ve tried the methods above, but you feel that the quality of the class is starting to be compromised, send that child out to the community room to sit with myself or Nate (principal’s office style). This will send a more serious message in addition to giving the other students a chance to work without having to deal with disruptive behavior. What makes a Brooklyn Music Factory lesson so different? Is practicing at home a struggle? 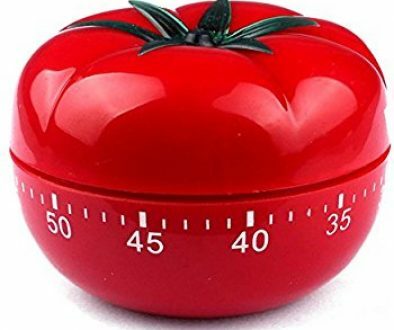 Try the Pomodoro.